Excessive pigmentation on the skin which leads to uneven and unusual darkening of skin is rapidly becoming a very common problem. Factors such as pollution, stress, hormone fluctuations, poor diet and unhealthy lifestyle can lead to uneven darkening of the skin. When your skin begins to look patchy making your skin tone look uneven, you may need a lot of makeup to cover up the pigmentation. No one likes to see their skin looking so dull. But that can’t be the only solution can it? Too much makeup will further lead to skin problems. 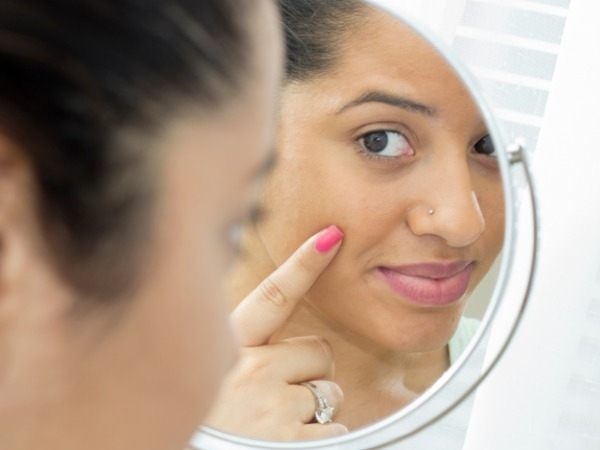 There has to be a better way to treat skin pigmentation and uneven dark patches. We are here to tell you there is a better solution – 3 in fact. Here is a list of the top 3 all-natural, ayurvedic treatments to help you treat the problem of darkening skin due to excessive pigmentation. This particular lotion is designed to remove the dead and darkened skin cells to help give you a radiant and glowing look once again. As is with all the Shahnaz Husain product range, this lotion too is free from chemicals and synthetic additives that could harm your skin. The natural formula of the lotion helps treat pigmentation with ease and removes spots, marks, blemishes and uneven patches and gives you a clearer complexion. 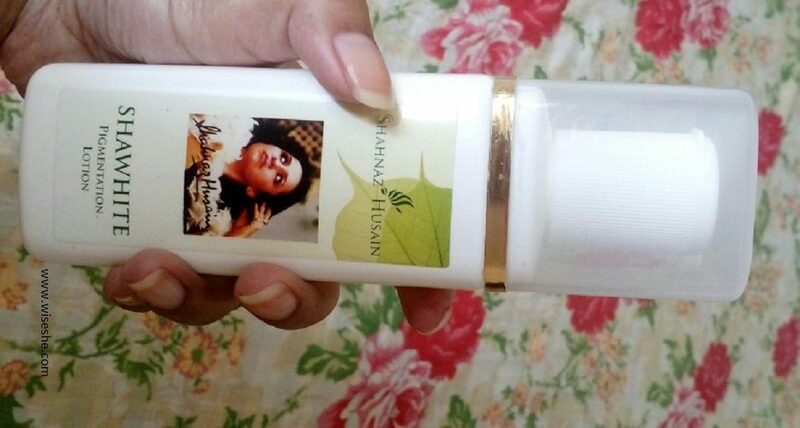 A 200 ml bottle of this lotion is available online for approximately Rs. 660. 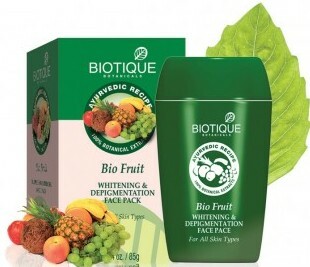 From the line of wonderful herbal products from Biotique Botanicals, comes this amazing face pack to help treat pigmentation. The face pack is made using the natural juices from pineapples, tomatoes, lemons and papayas to help clear up the complexion and reduce uneven darkening of the skin. Not only does this pack help clear up pigmentation problems, with regular use it also makes the skin softer, smoother and more radiant looking. It is available in a tub of 75gm at Rs. 171. For such a budget buy, this product packs a punch and is definitely a must have for those who are experiencing excessive pigmentation. While this product is called a fairness cream, it is a great buy to treat uneven pigmentation. It consists of mandarin orange, walnuts, aloe vera and Persian rose extracts which seep deep into the skin and help treat dull, darkened and uneven complexion as well as dark spots and blemishes. Regular application of this cream helps treat discoloration in the long run and also improves skin cell renewal in the uppermost layer making the skin look more youthful and glowing. The orange content in this cream supposedly helps to improve blood circulation which maintains the appropriate levels of pigmentation to help you achieve a clear and even complexion. The 50 gm tube of the Himalaya Herbals Natural Glow Fairness Cream is available online for Rs. 72. So which one of these is your favorite? Try them out and let us know in the comments.